Charlie Schreiber, Head coach at High Exposure, Tri-State Champion and World Cup Athlete, will train your child to become a better competitor! This 5-day mixed training program is customized to improve your strengths and target your weaknesses. Through a combination of Bouldering skills, Onsight bouldering at a range of gyms, competitive mindset training and new technique drills! 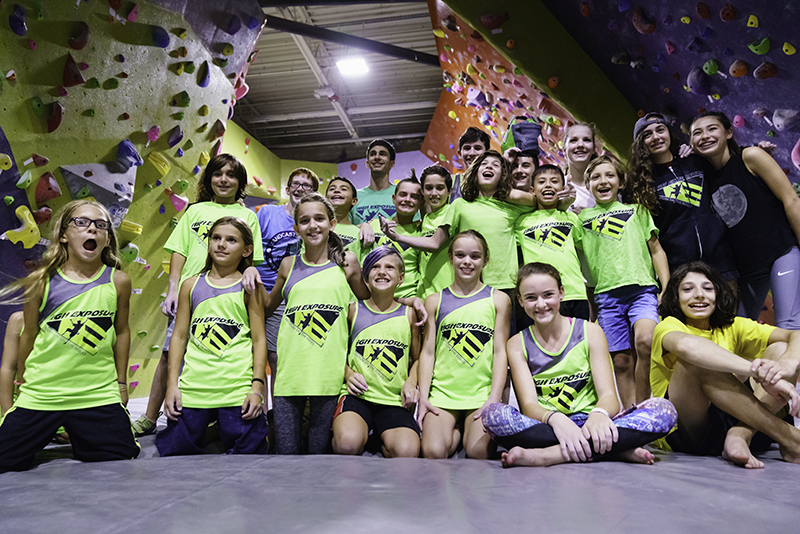 We focus on adapting your body, movement, and mind-set to the new styles of bouldering that competitions have introduced, especially at USAC youth Regional, Divisional and National level. Locations: High Exposure, Cliffs at LIC, Cliffs at Valhalla, Gravity Vault USR. Van/Bus for transportation, 8 kids minimum for bus commitment. +$150 per climber, per week. Waivers must be filled out online prior to visiting each climbing gym (or hand written and brought in with the climber). *** CLIMBERS MUST BE ABLE TO BOULDER A MINIMUM OF V3! ￼Charlie Schreiber has been coaching for 6 years and has been head coach at High Exposure, sending climbers to Nationals every season. Charlie has been climbing for 11 years and has been bouldering and sport climbing at a Competitive level for 10 years. He has attended 10 National Championships and 2 Bouldering World Cups with training from world class coaches.